Most of use here in Georgia are no stranger to humidity, whether it is outside or in the home. That being said, a little bit of humidity is a good thing to have inside the home, especially during the colder winter months when the air is naturally going to be a bit dryer. The right amount of humidity inside your home during the winter can not only help to make your home feel more comfortable, but it can also have a tremendous effect on the overall well being of you and your family. Here at Mobley Heating & Air, we can help you achieve that perfect balance of moisture in the air of your home by helping you install a brand new humidifier. When you are ready to see the difference that a new whole home humidifier can make in your home, give our expert air conditioning company a call today. 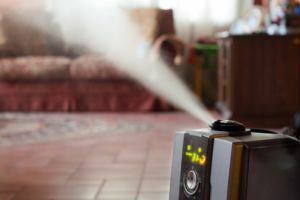 While there are smaller, portable versions of humidifiers out there that you could purchase, those smaller versions are generally only going to be able to affect one room at a time, meaning that you would likely need multiple positioned around your home in order to gain the same benefits that you could get by having a single, whole home humidifier professionally installed. Here at Mobley Heating & Air, our team of local air conditioning and heating experts can provide you with a variety of whole home humidifier options that will help you gain the desired results for your entire home. These systems are designed to be incorporated directly into your home's heating and cooling system, making them extremely effective and efficient. If you have any questions about our full line of high quality humidifier services, or if you would like to schedule an appointment for consultation with one of our specialists, give us a call today. Our team of experts are always standing by and would be more than happy to assist you in any way we can. Despite what you might think, a whole home humidifier can have a number of tangible benefits when you make the decision to install one in your home, beyond the fact that it will actually make your home feel warmer during the cold winter months, even if you have the thermostat set to a lower temperature than you normally would. This is because the humid air actually works to transfer heat better than dry air does. This fact alone means that you can set your thermostat lower during the winter months, and save yourself some money on your monthly heating bills. Additionally, dry air is one of the major causes of sore throats and itchy, cracked skin, as well as dry noses and nosebleeds. As an added frustration, this dry air can be especially problematic for anyone in your home with asthma or other respiratory issues. Installing a humidifier in your home will help to alleviate many of these issues, letting you and your family breathe a little easier in your home when the air outside gets dry. 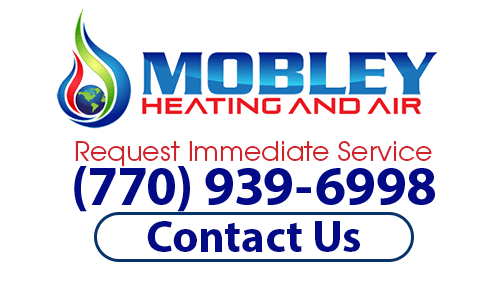 If you want to have a whole home humidifier installed, then please call Mobley Heating And Air at (770) 939-6998 or complete our online request form.